Day-1: Agartala-Airport/Rail Station – State Museum-Ujjayanta Palace – MBB College –Purbasha –Jagannath Temple –Uma Maheswari Temple – Laxminarayan Temple –Benuban Bihar –Benuban Bihar -14 Gods Temple – Boxanagar –Udaipur – Tripurasundari Temple – Bhubaneswari Temple – Gunabati Group of Temple & night halt at Gunabati/Gomati Yatriniwas. Day-2: Udaipur -Pilak –Chabimura –Agartala & night halt at Geetanjali Tourism Guest House, Agartala. Day-3 : Agartala –Unakoti –Agartala & night halt at Geetanjali Tourism Guest House, Agartala. Day-4 : See-off to Agartala Airport / Rail Station. Terms & Conditions; a) Package Tour includes transportation, TTDCL accommodation AC/NAC room and Guide fee (for tourist Coach only). b) Package Tour excludes Air fare, entry fee, boat fare, food etc. to be borne by the Tourist. c) Package Tour to be conducted with a minimum of 8 (eight) tourist through Tourist Coach and with a minimum of 3 (three) tourist through Tourist Car. d) 10% discount would be allowed during off season (April to August) for Package. e) 100% advance to be paid for reservation. f) The reservation is not transferable and is valid only if photo ID card to be presented at the time of checkin registration at TIC Agartala Airport. The Customer should carry with him Print-out of the Electronic/Manual Reservation Slip. g) Check-in and Check-out time 12:00 Noon. h) GST is applicable as per rules. i) In case of minor above 3(three) years and up to 12(twelve) years 25% discount will be provided in respect of Package tour. In case of minor tourist accommodation has to be shared with the parents. j) Conducted tour includes only transportation charges and Guide fee. 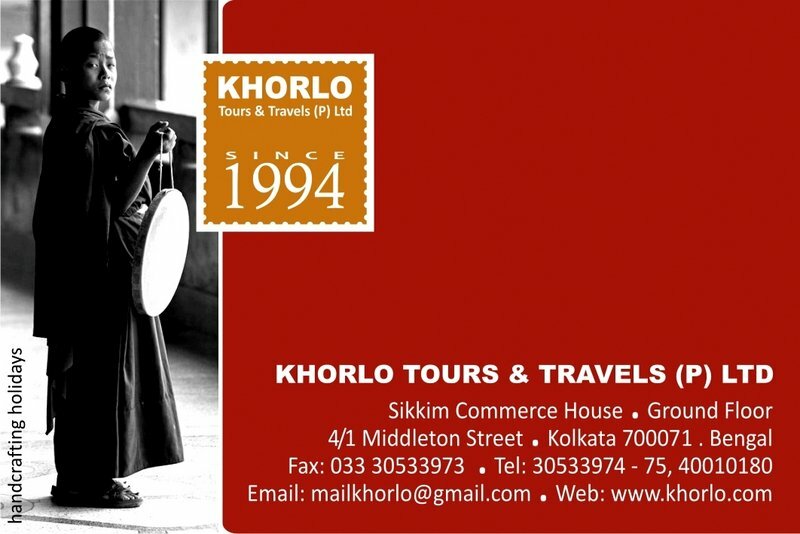 The Conducted Tour are to be conducted by AC Coach with a minimum of 10(ten) Tourist. Cancellation rules: a) 40% deduction before 48(forty eight) hours. b) 80% deduction 1(one) day before of the date of check-in. Day-1: Agartala-Airport/Rail Station – State Museum-Ujjayanta Palace – MBB College –Purbasha –Jagannath Temple –Uma Maheswari Temple –Heritage Park – Nagicherra Rubber Wood Processing Centre -Laxminarayan Temple –Benuban Bihar –Durgabari Tea Garden –Capital Complex –Akhaura Check Post & night halt at Geetanjali Tourism Guest House, Agartala. Day-2 : Agartala -14 Gods Temple –Baramura Eco Park -Jampui Hill & night halt at Eden T/Lodge. Day-3 : Jampui Hill sightseeing -Unakoti & night halt at Unakoti T/Lodge. Day-4: Unakoti T/L-Khumulwng Eco-Park & night halt at Geetanjali T/Guest House. Day-5 : See-off to Agartala Airport / Rail Station. Day-1: Agartala-Airport/Rail Station – State Museum-Ujjayanta Palace – MBB College –Purbasha –Jagannath Temple –Uma Maheswari Temple –Heritage Park –Nagicherra Rubber Wood Processing Centre -14 Gods Temple – Laxminarayan Temple –Benuban Bihar –Durgabari Tea Garden –Capital Complex –Akhaura Check Post & night halt at Comilla View Tourist Lodge. Day-2 : Kamalasagar –Boxanagar –Neermahal & night halt at Sagarmahal T/Lodge. Day-3 : Sagarmahal-Tepania Eco Park-Gunabati Group of Temple-Bhubaneswari Temple –Matabari –Sepahijala & night halt at Geetanjali T/Guest House, Agartala. Day-2 : Agartala – 14 Gods Temple -Jampui Hill & night halt at Eden T/Lodge. Day-4 : Unakoti T/L – Baramura Eco-Park – Khumulwng Eco-Park -Kamalasagar & night halt at Comilla View Tourist Lodge. Day-5: Kamalasagar –Dumboor Lake –Chabimura & night halt at Udaipur Gunabati/Gomati Yatriniwas. Day-6 : Tripurasundari Temple –Bhubaneswari Temple –Gunabati Group of Temple –Tepania Eco Park –Pilak –Trishna & Butterfly Park –Maitre Uddan Park & night halt at Sagarmahal T/Lodge. Day-7 : Neermahal-Sepahijala-Agartala & night halt at Geetanjali T/Guest House. Day-8 : See-off to Agartala Airport / Rail Station. Nature’s exquisite exposition with varied bounties in the surroundings of the Siddhamula at the distance of 25 KMs, away from Khandapada in the district of Nayagarh in the state of Odisha belies the relative insignificance of the place. The crystal blue waters of Mahanadi, the sprawling sands the fishing boats dotting the extensive water surface, the divining birds, the splendid hills and hillocks bordering the flanks and the greenery around inspire a creative visitor to sing an ode of the nature. The gentle breeze blowing across the rippled water makes the climate pleasant and thus gladdens the visitors. The splendidness of these diverse items of nature drive compellingly for setting up camps of retreat so that the dissonance of this boundless beauty inherent in the surroundings of Sidhamulla can be held harmoniously by a zealous nature lover and enthusiastic holidayers. Hence an ecotourism site has been proposed at a relatively higher attitude which is flattened between Mahukana Mundia and Malati Mundia. The prevailing ambience at the site open the vista for further improvement as an all time tourist destination without interference with nature. The place has also the added advantage of proximity of several other ecosystems, which are well protected and preserved. The rich biodiversity of Hanumantia, Dengabahada, Barakhola, Mainsibndha & Manivadra Reserve Forests contribute to the identification of the place as a hub of ecotourism. Entry Fee Rs. 00.00 /- Per Day, Per Person Will Be Charged Extra. Bhubaneswar Sidhamula Via Khurdha-Baghamari-Kantilo 107 Km. 3hr. 10 min. Cuttack Sidhamula Via Athagarh-Baramba-Bagadharia Chhack 101 Km. 3hr. 00 min. Angul Sidhamula Via Narasinghpur-Bagadharia Chhack 75 Km. 1hr. 50 min. Saptasajya is one of the Eco- Spiritual/ Eco- Tourism sites in the District of Dhenkanal. The name of Saptasajya is due to the conglomeration of seven numbers of hills with rich vegetation and nos. of perennial streams forming habitat for a wide range of animals, birds. The altitude of hills varies from 300 Mt. to 586 Mt. from MSL. The forest biodiversity has been further enriched with numbers of Medicinal herbs. As legend prevailing, it is believed that, during “Tretaya Yuga” Lord Ramachandra along with wife Sita and brother Laxman had stayed for seven days at Saptasajya in their exile period. During “Dwapara Yuga” the “Pandavas” had spent some days at this place during their “Agyanta Basa”. Many Sadhus were practicing “Yoga” in Saptasajya due its serenity, cool and hustle free atmosphere. The “Saptasajya is an important tourist attraction for local and outside since many years. People visit the site for their recreation and enjoy the cool breeze, green lustrous forest cover, running stream, wild animal and birds. A no. of pilgrims also visit the holy shrine of Lord Ramachandra, Lord Shiva, Jay Hanuman and Navagraha situated amidst the hill Range at an elevation of 300 Mt. from MSL. Annual Mela Sri Ram Navami, is observed here which is attended by thousands of local & outsider devotees. Bhubaneswar Saptasajya Via Cuttack-Dhenkanal 83 Km. 2hr. 18 min. Cuttack Saptasajya Via Dhenkanal 58 Km. 1hr. 36 min. Angul Saptasajya Via Dhenkanal 67 Km. 1hr. 39 min. Bhubaneswar Dhenkanal 62 Km. 1hr. 3 min. Cuttack Dhenkanal 60 Km. 55 min. Anugul Dhenkanal 60 Km. 59 min. Olasuni Eco-tourism complex is situated on Olasuni Hill close to Saint Arakshita Das Ashram within a reach of 22 km from Chandikhole Chhak towards south. The Complex having well furnished 3 Nos. of cottages with attached toilet facilities is constructed on the landscaping of the slope of Hill. Besides, one common facility centre is also available. Bhubaneswar Olasuni Via Paradeep – Chandikhol Rd 86 Km. 1hr. 47 min. Cuttack Olasuni Via Paradeep – Chandikhol Rd 65 Km. 1hr. 23 min. Jajpur-Keonjhar Road Olasuni Via Dharmasala 63 Km. 1hr. 24 min. Bhubaneswar Jajpur-Keonjhar Road 100 Km. 1hr. 20 min. Cuttack Jajpur-Keonjhar Road 73 Km. 52 min. Mahavinayak Eco-tourism complex named as “Parbat Sova” which is close to Lord Shiva temple inside Mahavinayak RF within a reach of 5 km from Chandikhole Chhak towards west. The Complex having 3 Nos. of well furnished double bedded suits with attached toilet facilities is constructed on the slope of a hill covering total area 3.5 Acres inside Mahavinayak R.F. A tracking path over 5 Km is also created to the other site of hillock. It is perfect picnic spot for trekkers and religious people with it densly wooded hills and sylvan spring that flows periodically through its green glades. Many festivals such as Sivaratri, Makar Sankranti, Raja are celebrated here. Bhubaneswar Mahavinayaka Via Chandikhol 69 Km. 1hr. 26 min. Cuttack Mahavinayaka Via Chandikhol 48 Km. 1hr. 2 min. Jajpur-Keonjhar Road Mahavinayaka Via Panikoili – Chandikhol 47 Km. 1hr. 1 min. Chandikhol Mahavinayaka 2 Km. 4 min. Cuttack Jajpur-Keonjhar Road 73 Km. 47 min. Ansupa Lake is the largest and one of the oldest fresh water wetland of Odisha located in Athgarh Forest Division (Banki Sub- Division). Lake is directly linked with the River Mahanadi by a channel called Kabula Nala, through which flood water of river Mahanadi enters the lake. There is another channel Huluhala Nala, which has also an opening to River Mahanadi which acts as outlet. 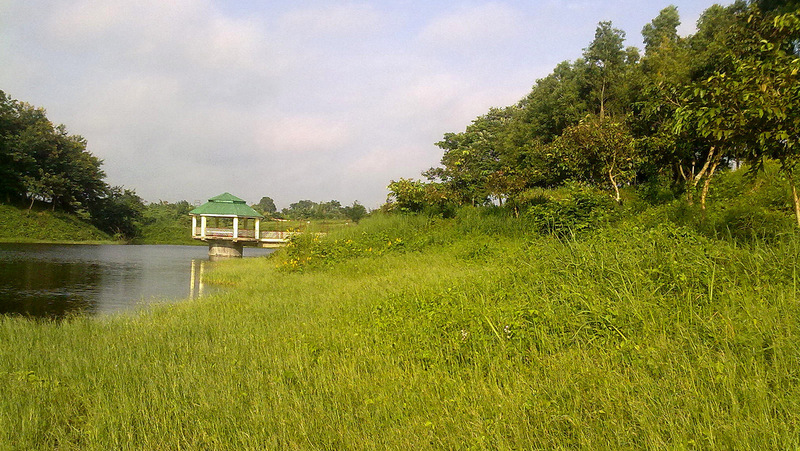 Ansupa Lake is situated between 85-86’ Longitude East and 20-30’ Latitude North. Water spread area varies from 375 acres to 385 acres. Average depth of water is about 8 to 10 meters at present. Catchment area is 2810 Ha, This Lake is of National importance due to its unique bio – diversity character having varied aquatic fauna and flora and is a famous natural heritage site of Odisha. It harbors large number of fishes, aquatic plants (submerged, floating and emergent types). Different types of resident and migratory birds visit the lake in winter – time, attracting large number of tourists. A very old fort called Saranda Fort built during Keshari dynasty is situated near the lake on western side on Saranda Hills. This has some archeological significance. The hill has old remnants of stone architecture on hill top which are locally known as Armory House, Armory, House Bhai – Bohu Kua, Kansa Kabata . A hillock named Saranda hill runs along the western bank of Lake Ansupa and adds greatly to the scenic beauty of Ansupa Lake. This place has been selected for development of Eco Tourism. The beauty of meandering river Mahanadi at a distance and water body of Ansupa lake provides great landscape to the visitor from this hillock. Three number of Bamboo Cottages constructed during 2012 – 13 to provide night facility for visitors. There is a Day visitor center on the periphery of lake where pindies for day visitors and boating facilities are also available. The Members of Eco Tourism Group (ETG) of the local VSS is in overall Management and Maintenance of Ansupa Saranda Eco Tourism Site. Bhubaneswar Ansupa Lake Via Athagarh 54 Km. 1hr. 34 min. Cuttack Ansupa Lake Via Athagarh 45 Km. 1hr. 22 min. Bhubaneswar Cuttack 28 Km. 25 min. Sana Ghagara Eco-Tourism Complex, Aanjar is situated adjacent to Sana Ghagara Water Fall of Keonjhar District at an Approximate Distance of 5 KMs from Keonjhar District Headquarter. The Eco-Tourism Complex flanks the verdant hill on one side with perennial flow of Machhakandana River and the Forested Landscape on other side marked by presence of NH 49. The landscape of the site is unique and picturesque owing to undulated terrain and uniform Sal growth. Perennial flow of river Machhakandana terminating as Sana Ghagara waterfall at a distance of 100 meter from the Eco-tourism complex circumscribed by undulated terrain is the focal point of attraction. Bhubaneswar SANA GHAGARA NATURE CAMP Via Keonjhar 224 Km. 4hr. 10 min. Balasore SANA GHAGARA NATURE CAMP Via Keonjhar 234 Km. 4hr. 14 min. Baripada SANA GHAGARA NATURE CAMP Via Keonjhar 168 Km. 4hr. 39 min.